We all want to save more money to enjoy more holidays, time with our family and friends and leisure activities. If you look to make some simple adjustments to your monetary habits now then you can put more money away for a rainy day in the future. It can be hard when things are getting increasingly expensive such as groceries and petrol, but this is where little changes can really add up to make a difference for you. Read on to discover 5 easy ways in which you can put more of your money back into your pocket. Impulse purchases can become a financial downfall if one is not careful. We are not only talking about those small gifts at the till that you may pick up at the supermarket but bigger impulse buys such as a new coat, handbag, mobile phone or even a car. Yes, it is true that some people make impulse purchases such as these but everyone can learn to become more aware of these instances and make cut back today. Simply ask yourself ‘do I really need this item?’ If so, and you really want to purchase it then also ask yourself this second question ‘but have I shopped around first?’ If you do some quick research online you will likely find your item for a cheaper price. Giving it a few weeks or months is also another tip and if you still desire to purchase the item then, then you will know that it is truly something you both want and need. Knowing that you can purchase an item cheaper online has often stopped many a shopper from impulse purchasing in person. So remember, shopping around first can really pay off. Riding a bicycle is a great way to get some exercise in, especially if you sit at a desk all day at work. But for some people this is simply not a realistic option. Therefore, taking the bus instead of the car or using any public transport at all for your daily commute will be far less harmful to the environment. If you normally drive to work on your own but a colleague down the street does the same, then starting a small carpool could save you both a lot of money over time. In addition, it takes some of the stress and pressure off yourself as you would not have to drive as regularly. Over a few years, these small changes to the way you use transport can save on your petrol costs and will certainly pay off in the long run. As a bonus for your health, getting off the bus a few stops earlier and taking the stairs instead of the elevators could amount to a substantial weight loss over a longer period of time too. If you normally have the heating on in every room, try lowering it a small amount and you will make a small saving each month which will add up over time in the long run to a larger saving. People often say that one should put on an extra jumper when there is colder weather and this advice does ring true if you want to save on your heating bill. Sometimes if you know you will be cooking two items from frozen two days in a row, then why not cook them both together at the same time and reheat the second item when it is needed. This way you will not only save yourself some time the next day but also your gas or electricity bill will be slightly lowered. Of course, you would need to employ this technique quite regularly to notice a large saving but it is very possible with forward planning. In addition, when cooking larger meals in bulk, putting half in the freezer for another day means you will shave some time off cooking that particular item again as it will only need defrosting and reheating. These are certainly very small suggestions but to save money everyone has to start somewhere and especially if you come from a larger family, this tip may be of use to you. Shop around when it comes to your cell phone contract. Creating an online account with your cellular provider will also help you to better monitor your phone usage and to see where you can make changes. Be aware of offers and what the rates are for your particular tariff. If you do not know your call rates then look them up to save more money. It could well be worth exploring if a pay-as-you-go contract would actually work out cheaper for you depending on your circumstances and needs. In terms of social activities, budget for nights out in advance to make sure you do not go overdrawn. Perhaps mix up your usual routine and host a dinner party or house party in your home, that way all your family and friends will save money on the evening as well. Making the most of special offers is always a great way to save in supermarkets. Collecting coupons from your local newspapers and magazines is a sure fire way to save some money on your weekly shop. Try out your supermarkets own brand products too and you may be pleasantly surprised with the taste and quality. Look out for store loyalty card schemes as well as the points can soon add up for great savings. Buying items such as toilet paper or tinned goods in bulk can frequently mean you make a saving too. When an item such as bread or butter is on offer, buying an extra one to put in the freezer will not only mean you will be more prepared for the next time you run out, it will also mean you have saved some money on these essential items. If you shop for an elderly relative and they have room in the freezer for a spare loaf of bread or even milk which can be frozen, then this can really help them out, especially when the weather get worse and it snows. Items with a longer shelf life are always great to purchase in larger quantities. But remember, it will be entirely pointless to buy items you do not need or regularly use. Try not to be swept up by every single offer out there as this way you will have less products wasted and more of what you really need to use. In addition, there are now many apps for your phone and other devices that let you price check and compare supermarket prices and see the offers for each store. Some people actually check all their local supermarkets online before their weekly shop as shopping around like this can save you a lot of money, especially in the long term. You could even scan the products in store to compare the prices locally and whilst this may seem like a lot of hassle and work, there are people doing just this each week and saving money all the time. Taking a packed lunch to work or school can save you a lot of money over time, as can skipping that morning coffee and taking a flask of hot tea or coffee from home. These may seem like very small changes but over a week, then a month and then a year, you will see a massive saving if you can manage to stick to it. This could be money that you could then put towards a lovely holiday instead. Some of us love the sales whilst others of us loathe them and avoid them at all costs. Even if you prefer to steer clear of everything that is retail oriented around sales periods then you still have to admit that shopping online from the comfort of your own home can be a great way to make the most of the bargains and to also avoid all the crowds. If you need a larger and more expensive item such as a new wardrobe or a television, you can save huge amounts through waiting for the sales. Shopping around is again something that will ensure you can find the lowest price possible. Try not to be influenced by impulse buys which we discussed in tip number one and save money through shopping around before making those big purchases. These are just a handful of ways in which you can save money through making small adjustments to your lifestyle and shopping habits. 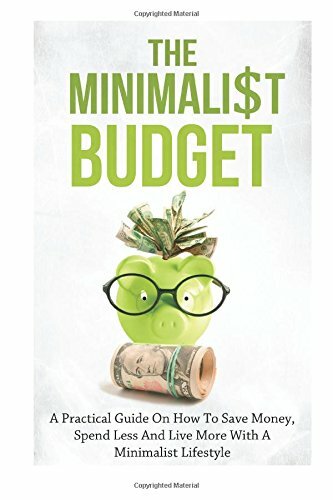 Giving even one of these ideas a chance will go a long way towards you being able to save money not just today and tomorrow, but in the long term future as well. Below are some money saving tips from Suze Orman from an interview on Making it in America. Very helpful tips. 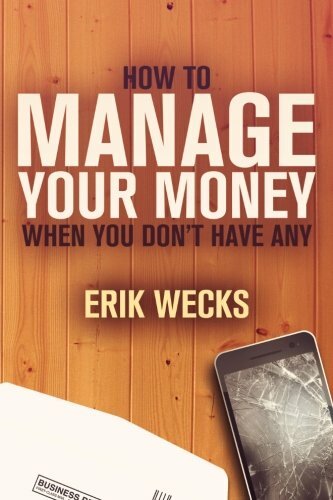 Sometimes it's really hard to start saving, but when you got the hang of it, it will be very helpful and easy. Using coupons is one way I do to save. Hi asereht1970, thank you, I'm glad the article is of use to you. I agree, coupons are a fantastic way to save money and they really can add up in the long run too! Hello Shaddymak, thanks for stopping by. I'm really glad you enjoyed the article! Very nice article. Five very good ideas on saving money. Keep up the good writing. Hello RaymondE, thank you very much for your comment and I'm really pleased you found the article of use. Thanks for sharing SparkyStar. Great tips! Simple and effective, great article Sparky Star!